And the winner is… up to you! 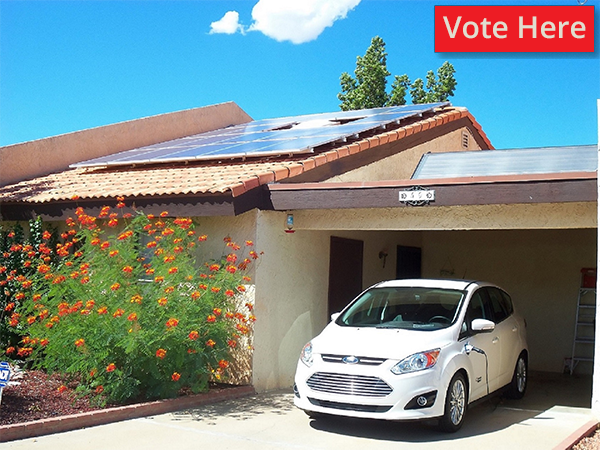 Have you seen solar around your town? 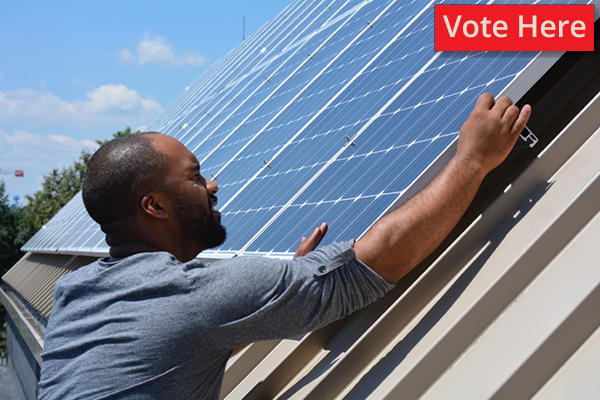 Many of you have – we’ve been collecting your photos and stories over the past few months for our solar photo contest. The entries we received inspired us. In fact, we got so many great stories and photos that, along with our guest judges, we need your help to choose a winner. Can you help us pick a winner by voting below? As a reminder, the winner will receive lunch with Environment America’s Executive Director Margie Alt, while the runner-ups will receive various prizes including $200, and Environment America T-shirts. 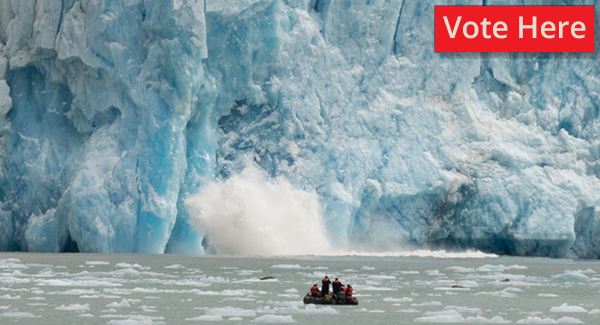 Just click on your favorite photograph to vote. 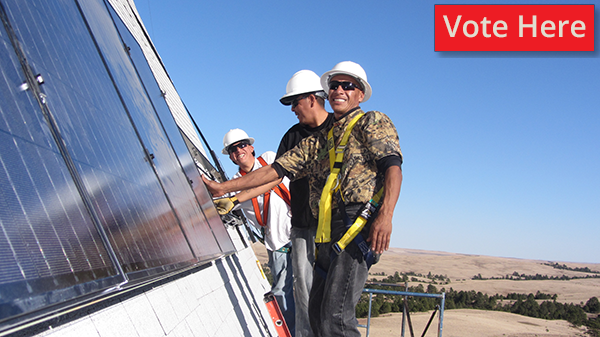 Megan of Colorado sent this photo of a solar energy workshop on the Pine Ridge Reservation in South Dakota. According to Megan, 40 percent of the residents in the reservation live without electricity andNative Americans across the nation are ten times more likely to lack access to electricity than most Americans. “Many tribes are looking to renewable energy as a way to provide reliable, clean energy to their tribal members,” she said. 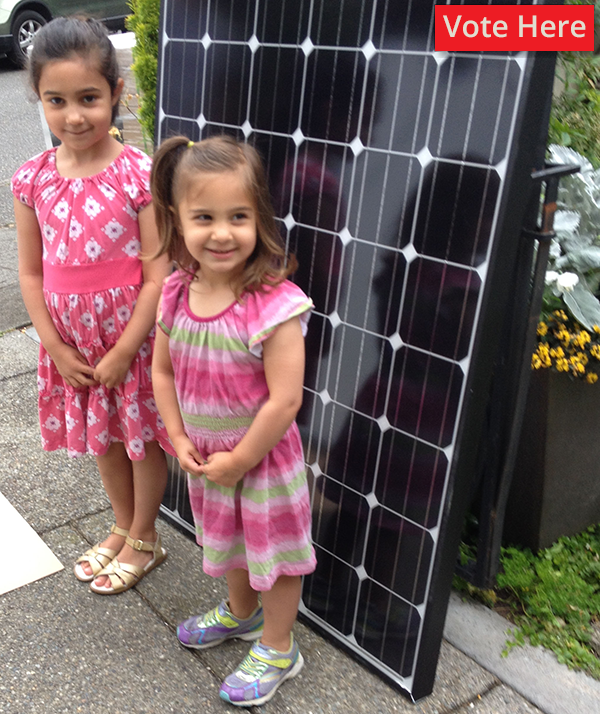 Steven of Seattle took a picture of his granddaughters next to a solar panel before he put it and 29 others on his house. 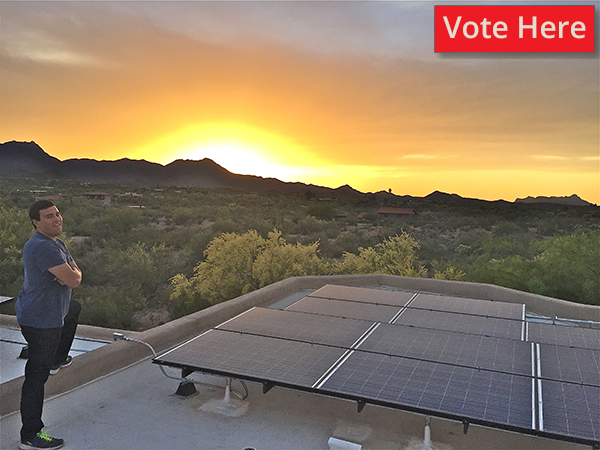 Steven wrote that he wanted to go solar to protect his granddaughters’ future and support local clean energy in his community for years to come while helping to break America’s dependence on dirty fossil fuels. Seth of Rhode Island works for a company called BCX Energy. 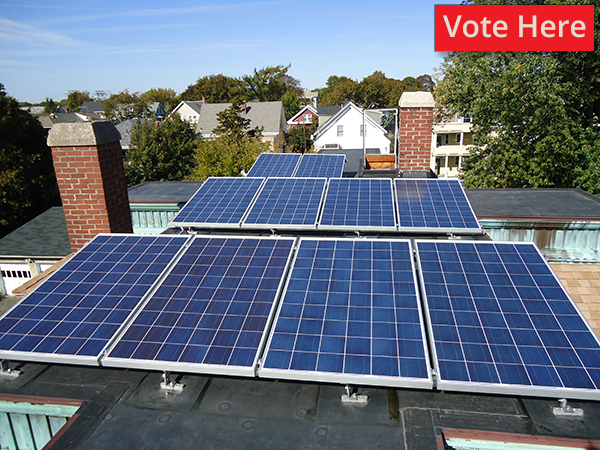 The company decided to “put our money where our mouth is, that is we installed solar on the roof of the building housing our office.”Pictured left to right are Roni Portugali (construction lead), Mike Cahill (VP), Anja Schnoor (technical marketing), Keith Boivin (President). Michael of Rhode Island works for a company called BCX Energy. 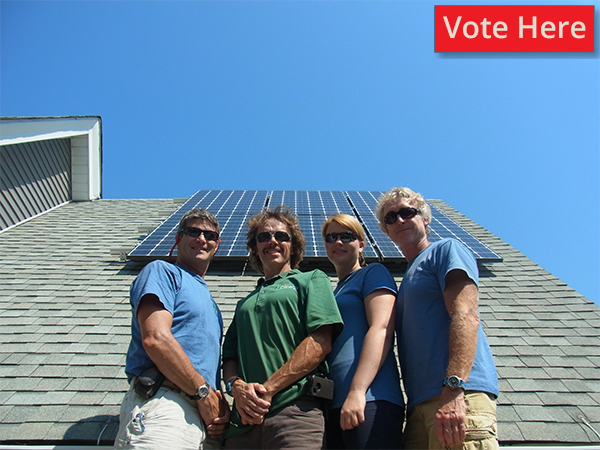 The company decided to “put our money where our mouth is, that is we installed solar on the roof of the building housing our office.”Pictured left to right are Roni Portugali (construction lead), Mike Cahill (VP), Anja Schnoor (technical marketing), Keith Boivin (President). 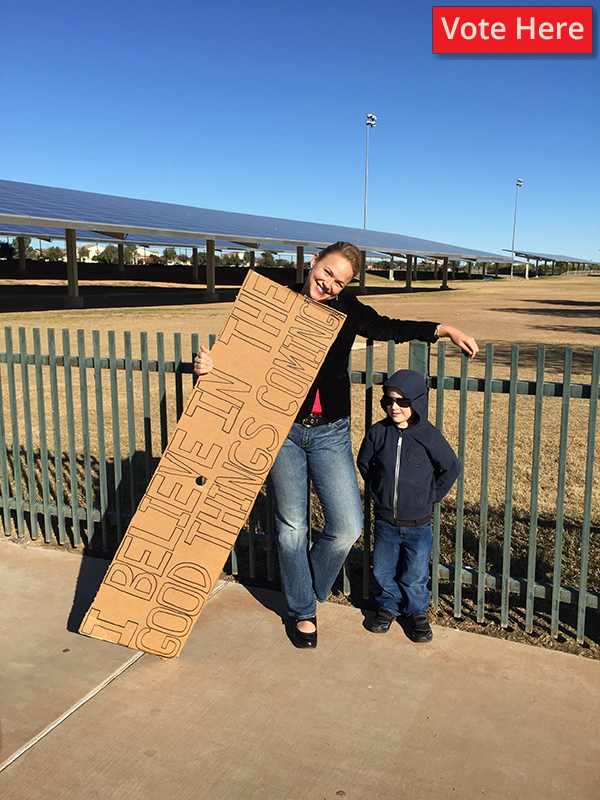 Sharon of Texas put solar on her llama farm near Austin! She and her husband also try to save energy by hanging clothes to dry. 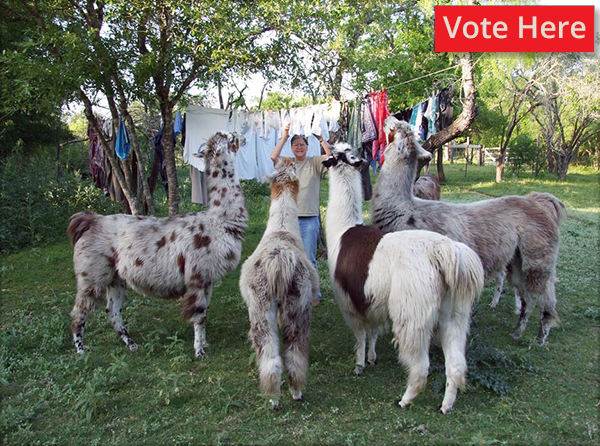 The llamas got involved too, as her husband described: “…(the llamas) didn’t understand that my wife’s arms were raised to hang clothes rather than to pull down branches for them to strip leaves.” Over seven years, they’ve produced 53,336 kWh of solar and saved 90,672 lb. CO2. They won’t be officially entered into the contest, but we’d still love to hear and share your story. Do so here!